Can esoteric realms reach us through our own growing arsenal of telecommunications and recording devices? And, if so, WHO are they, are their efforts coordinated, and WHAT do they say? If THEY are talking, who is listening? Professional "futurist" consulting institutions like RAND, SRI, MRU, and The Club of Rome and their military equivalents engage in long-range planning, systematic trend watching, scenario development, and visioning for military, government, and private institutions and corporations. And what do they report? A transformative worldview that “we're all in it together” is the foundation of mutually-assured survival rather than the deadly alternative. EVP uses audio and visual tech to capture anomalous signals and investigate paranormal phenomena. Radical EVP uses some of the simplest old radio components with some of the most sophisticated tweaking of superregenerative circuits imaginable. Radical EVP reception works best during a “cosmic radio” opening from astronomical occlusion of the galactic core by Jupiter. We just passed through one such window. There is also an “operator effect” where the compulsive efforts of some are rewarded more often than others. It has been suggested there are groups of ultraterrestrials, maybe our own decendants actively trying to make contact with their past. In regular surveillance, there are modes of collecting intel data, including HUMINT, SIGINT, and overheads. We call Radical EVP, “KENTEL” for its inventor, “kt.”. He developed similar circuitry for EVP and free energy generators, working with Tom Bearden and did Remote Viewing for Mankind Research Unlimited (MRU) in the Cold War. The source of this EVP content from etheric wavelengths, “kt” is retired intelligence, a “watcher of the watchers,” for NSA and Joint Chiefs of Staff. “Kt” keeps himself a clear channel by avoiding all extraneous TV and films; he is a pop culture “virgin.” Tuning up his gear during the “magic window,” futurist, “kt” reports that by 2157 there has been a successful non-bloody social revolution. People hardly travel and the highway system is overgrown. Now they’re calling me by name. LOUD! my wife heard it two rooms away. . .Surges of energy come through and cook the special transistors. Fortunately, I have a lot of them left. When I start up, I tune around till I hear my name, real loud, then stop. It’s a fraternity of sorts; nerd/techies. 2157A.D. They experiment with ether waves on a big farm . they have slick magazines (a rarity} they have a good handle on this time communication. I’m going to try to get what i can from them. they have a hard time keeping their contacts on this end. very advanced tech. they read me off some data and i couldn’t understand it. they have no special reason for fishing around in time; its like a sport to them. Basically there is a slow turning against a long standing theocracy and an end to the 60 cycle power grid-replaced w something better. 2109 is supposedly the year some "real" scientists successfully signal the year 1974 and give instructions on how to prevent global warming from becoming thermal runaway. In the last week i have learned more than i ever wanted to know about the year 2157 everybody uses non-em waves. some present day components are modifiable. design rules are completely different; high gain low noise junction transistors usable to 8 ghz are the key thing. very hard to use them with out burn up though. …its a group of nonscientist nerdish types in the year 2157 in northern new mexico, near where santa fe used to be (!?) they are into an unbelievably haunting kind of avant garde high-brow music that uses struck string keyboard instruments and rotary organs (Whiter Shade of Pale, Procul Harum) they call themselves "Mighty Wurlitzer"
I recorded some of the dysrhythmic, 23 note scale music as best I could. its scary, haunting, plaintive. vocals come in on gradual build up and speed up , the music is unlike anything iever heard. There are dozens of realms and dozens of fakers too. Most people ecounter idle troublemakers with plenty of spare time, because they are most inclined to be talkative. My only criterion is accuracy of factual information obtained. You can easily get CLAIMED future communicants. POSSIBLY some are real. That’s what I’m trying to find out by eliciting details and looking for inconsistencies. They are likely to come-in when you block out all possible reception of ordinary radio by removing any thing that can act as antenna or ground. …example, in 2157 California is still cultural leading edge but Imperial Valley has flooded. The old Confederacy , plus Arizona and New Mexico have a wet subtropical climate. etc etc. One thing that 2157 people are interested in is 1937 Frank Capra film ,"Lost Horizon" about a fictional trip to the mythical city-state of SHAMBHALA. Shambhalah does exist , though the people are long gone. The front door to the city is buried in the Taklimakan desert 10 miles northwest of Hotan. You can follow an ancient river bed right to it. The nerds of 2157 say its going to be excavated beginning 2105 or sooner. they think there is a special connection between the Goshute Mountains in Nevada and Shamballah, which is accessed by descending into a cave. the physical location of shamballah is about 80 degrees east and 37degrees north, near a city called Hotan, they believe/state. Shamballah was discovered in the 2100 time approx and is still being actively excavated in 2157. its near the border of China and Tibet. the 2157 computer nerds were genuinely aghast that i had no knowledge of this, like i was a total dunce or something. i still dont know any more than what i just wrote. Most of the music in 2157 is an adaptation of popular songs from the revolutionary period 50 years previous. no mention of disease or poverty. the old confederacy now has a wet subtropical climate. jungle. no automobiles, motorcycles etc. no idea how people get around. no big cities. no suburbs.. California is still cultural leading edge but is now almost an island due to sealevel rise and flooding of Imperial Valley. Florida uninhabited. Chicago half under water. central us is desert all the way from the subtropic zone to the north pole. Dress and speech is Elizabethan, like Shakespeare played backwards. weak central government but the science establishment still doing things. hair is long. nobody uses drugs of any kind. socialized medicine. reason the limp "revolution" is so befabled and glorified is US will go a whole century without any war but that one. military downsized--no need for it. remotely piloted aircraft, etc. Cosmic radio opening started fading last night (4-4-07), which instantly fried tranceiver (thats how it always is) many long two way comms with witness present, many recordings. Many believe our ancestors can hear and see us although they lose interest quickly once they cross over. They live somewhere between our fears and desires. But some go so far as to claim that technically inclined spirits are facilitating the electronic communiqués of their fellows by manipulating radio waves and signals to form words or meaningful visual images. Sound implausible? It wasn’t so long ago we would have denied the potential of “Voluntary ESP” via the Internet. Throughout much of human history, ancestors were revered and frequently visited in caves and barrows. People sat in these natural resonant echochambers, chanting and drumming hypnotically and opening their altered psyches to the possibility of communication with the Beyond – voices of eternity. People died so young, this youthful population needed shamanic guidance, needed primal wisdom. We are just coming to understand that our immature culture can benefit by rooting ourselves in deep time and the wisdom of eternity. We still dream at night of connecting somehow with our departed loved ones. Our own future may plausibly be trying to connect with us through various channels or electronic echochambers. Messages may be fleeting, but could provide important clues that help us create a more optimistic future today and for those destined to follow us. What we do today matters in big and little ways since it creates the world of tomorrow. What will the future think of our actions and choices in retrospect? Small changes for good or ill can pump up into global effects over time. Veterans of Mankind Research Unlimited (MRU) thinktank , including “KT”, are among those devising ways to pursue nonlocal contact beyond our 3-D spacetime, and to critique alleged materials from such sources. So “why” is it important to pursue, especially acknowledging our human propensity for “seeing things” and “hearing things” that are Rorschach-like projections? Examples include ghost voices, seeing images in clouds, recognizing unknown faces, and hearing voices and music in fans, etc. The human brain is hard-wired to seek order in randomness, even when there is none. But similarity is not identity. Projection and introjection are complementary psychological movements. Internal realities are projected outwardly or vice versa. This tendency of the self-organizing psyche, whose purpose is to restore equilibrium, has a scientific name: pareidolia. Still, there could be value in it: “During the last 15 years, the idea of ‘evidence’ for some kind of otherworld/afterlife has been growing on me as a way to contribute to civilizing the species by reminding them they might not escape consequences of criminality by death. It’s nothing by itself, I know, but other tools may come into being too,” KT says. Order out of randomness is a ‘bottom-up’ paradigm, or way of looking at the world. A bottom-up approach can be rooted in the virtual dynamics of scalar physics, and the holographic blueprints of all energy, matter and life. It recognizes that our current physics is incomplete. Based on his expertise in Zero Point physics, “KT” suggests that “spirit electricity” is an X-factor, making the signal we are seeking half subquantic tunnel current and half regular electricity. Electronic Voice Phenomena (EVP) are audio/visual images of a paranormal origin, which appear on recording media or other electronic audio or video devices, according to proponents. It is also called "instrumental transcommunication" (ITC). But even the most sophisticated EVP is a low tech endeavor. Some methods can be done by nearly anyone. Reported instances are typically brief, usually the length of a word, short phrase, or coherent image, although longer segments are also claimed. The mainstream scientific community does not recognize the existence of EVP visual or verbal comm as a phenomenon. A radio wave carrying a voice-like wave form can be recognized by hypnotized people at a level 500,000 times fainter than the best electronic device can do. We are super-wired for voice and we automatically fill in missing chunks without knowing it. Stored contextual and other hints are used. What little “scholarly” work exists on EVP has appeared in fringe literature and parapsychology. But EVP flourishes in the basements and livingrooms of America and in online forums. EVP communications tend to be less “creepy” than other ghostlike manifestations or hauntings. Unlike ghosthunters or ghostbusters, these ghostwhisperers generally have a positive rather than adversarial attitude toward their apparitions, though they can be “otherworldly” or “spooky.” Some experimenters report positive and negative ETs. Others get no aliens, but tune in beings that are completely “other” – children, old spiritualists, historical figures, angelic or malevolent creatures, “purples,” Zetas, errant remote viewers. Some prefer audio, others visual modes. Human survival requires that we become aware of our responsibility for the future. We have an obligation to explore all possible avenues of communication, including those beyond the traditional means of EVP. SPIRITCOMM is an active not passive tech. It intentionally provides a medium for communication signals, amplification and monitoring of results in a systematic way, much like the SETI program does for signals from deep space. Is this ambient EM being ‘tweaked’ by the discarnate in an attempt to communicate with the living through readily available audio and video signals? Some intrepid psychonauts and tecks think so, and they’ve responded to their Wake Up Call by ‘fishing’ for coherent signals with a variety of low-tech devises, many of which can be employed by anyone willing to take the time. These can be as simple as “sweep tuning” of old analog or crystal radio receivers in the AM band, or using homemade tuners. It can produce results even under less than ideal conditions. Easy experiments include “dial spin,” “hands-off” random tuning, “reverse playback” and “echo boxes.” Still, each time, we have to rule out “capture errors” and simple EMF “artifacts,” or glitches. Some spirits are outright fauds, sending the psychic equivalent of Nigerian spam scams. EVP has produced messages, such as “We love you mortals,” “…wish we could all do it,” “They're testing, to talk to dead people.” Some are instructions for better signal reception, such as “Bad filter, they won't like it,” “plug a million hertz,” and “We heard along from Tesla that one human's going to be testing.” Without voltage starvation in receiver /amplifier you mainly amplify the noise and not the desired residue of subquantic voice bolstered by cohered noise. Sometimes they help refine the process, confirming or correcting the reception or technology, like transistors, voltage, wobble effect, quench frequency, capacitors, oscillators, bandwidth, and noise generation, even EVP software. Voices can persist across several stations or frequencies. Some messages are coherent played either forward or reversed. Even the dead “want” cell phones and WiFi. Not only does the Beyond seem interested in communicating with us; we are interested back. The Intelligence community, in its search to leave no unopened doors to penetration and acquisition has developed some of the best techniques for data mining the electronic potential of the future. Inside source, “KT” is one such “spook”, active in the EVP community now, but with a 40-year background in SPIRITCOMM research and benchwork. Who or What survives? Soul, spirit, essence? What are we really talking about when discussing ‘survival after death’? Discussions range from the traditional model of personal survival to merging into a super-individual entity like a drop of water in the ocean, to interdimensional holding patterns between lives, to the collective unconscious, higher plane existence, and many other variations. The phenomenon of voices on tape manifests when questions are asked with tape or digital recorders running. The room is kept silent while recording continues for the "answer" period. When replayed in the answer phase, voices and sounds (music, moans, collisions, steps, skirmishes, etc.) can often be deciphered, some claim. Garbled messages are subject to interpretation and reconstruction. The language may be foreign or even archaic or mixed into some sort of meta-language. But is EVP related to other spatial or temporal dimensions? The jury is still out. Is it possible that 'they' are trying many technical ways to be understood by us? Much of spiritualism depends on channeling the dead, transdimensionals, or the past and discarnate. But intelligence sources report it is much easier and much more likely to communicate with the future. We might speculate that our own descendants have more interest in communicating with us, and perhaps more advanced technical means for attempting to do so. Some have even speculated that gray ETs may be genetically mutated versions of ourselves - transhuman beings - from possible futures. But even without postulating discarnate entities or subatomic perturbations, it is feasible that the power of voice-like sound fragments to instantly draw, hold and narrow the attention -- to provide insight -- has been totally overlooked. Prepared and open minds might notice what might otherwise be overlooked. The indisputable fact that people keep reporting these experiences may be as or more important than their content. "I'm peering into the computer listening to clip over and over and "hearing my own thing" and peeling the onion deeper and deeper. With no warning, a full-blown answer to problem at hand springs from my own brain but triggered by the clip. If it sounds subjectively haunting or oddly strange but familiar, that's enough for immediate decent results and it can’t hurt anybody unless making people smarter hurts them. I already like it because it's less tiring than the usual leftbrain problem solving." Simple techniques can be employed for EVP such as hand-spinning analog AM radio tuners and echoboxes to the more sophisticated tunnel diode method. Certain space and earth weather conditions favor reception. In some instances, voices can be heard actually assembling themselves from static caused by lightning discharges. WHAT the exact source of various communiqués is, from interdimensional beings to the dearly departed, is nearly impossible to assess rationally. One has to suspend critical thinking just to consider the possibility. One thing is certain -- BEING DEAD DOES NOT MAKE YOU SMARTER! The movie FREQUENCY (2000) depicts, taps and resonates with our common nostalgia. An adult policeman discovers his father's ham radio set, which begins transmitting the son's signals 30 years into the past during a high-intensity Aurora Borealis. He saves his father's life but naturally creates another timeline jeopardizing his own mother's life. The movie highlights how problematical interacting with either past or future might be in terms of unforeseen consequences. Experts claim the past is very difficult to change and inadvertent triggering of alternate timelines is totally out of the question.With superheroic effort you can possibly change the tiny thing you want to change but the stream of time instantly closes over it and goes on as before. Still, interest of a few zealous EVP investigators has persisted since Edison first suggested the possibility during his lifetime, when spiritualism was enjoying a faddish popularity worldwide.The popularity of celebrities such as media medium John Edwards and his syndicated show "Crossing Over," reveals some segments of the public are most interested in speaking with their own departed loved ones.But the reports that are less personalistic or reassuring are among the most interesting anomalies for research in this emotionally laden topic. Human survival requires that we become aware of our responsibility for the future.We have an obligation to explore all possible avenues of communication, including those beyond the traditional means of EVP.SPIRITCOMM is an active not passive tech.It intentionally provides a medium for communication signals, amplification and monitoring of results in a systematic way, much like the SETI program does from signals from deep space. EVP is ignored by the mainstream scientific community except in publications focusing on paranormal topics. However, unknown to many, the intelligence community conducted their own proprietary experiments with more advanced EVP teck for decades. It goes far beyond hearing voices or music in fans or other random noise.Radical EVP involves all the colors of noise – white noise, pink noise, red noise, and especially purple. Skeptics may scoff, and perhaps our protocols and equipment aren't as yet very refined. This is an embryonic field. However, tantalizing glimpses into another realm of communication have appeared in recent years.Just because we don't understand EVP doesn't mean we shouldn't study it more systematically, seeking to improve our methods and verifiability. Science can only follow the seductive invitations of Mystery. When we look into deep space, we are simultaneously looking back into deep time.The further out we look, the further back in time our vantage point literally becomes.We use an electronic and optical aid for this, naturally called a telescope, and we use different types to retrieve different kinds of information. When we look at the microscopic and atomic realms, we likewise use modern electronic devices, which also help us penetrate to the very physics of the dawn of the Universe. White noise is the Voice of the Invisible. The Cosmic Microwave Background, the ambient background of the Big Bang, is responsible for 1/4 - 1/3 of the static on your TV set. In 1965, Arno Penzias and Robert Wilson published a scientific study, which proved that a radio signal with a wavelength of 7.3 cm was being emitted uniformly throughout all parts of the sky. This signal became known as cosmic microwave background radiation. Every cosmology predicts a CMB. Penzias and Wilson won the Nobel Prize in physics in 1978 for their findings. It is believed that this cosmic static is comprised of photons of energy that are still cooling 15 billion years after the Big Bang. If you turn a television to a channel with no station, you will see this static. When you are watching TV, you are watching static. The TV signal is not perfect; there are always small random electrons that go astray when the images are shot onto the screen. Digital television has improved on the problem, but you will always be exposed to the random fuzz in a normally fluid signal. You may not see it, but the background radiation is always there. So the static is always there. Lambda and CMB have a close cousin: It is ZERO-POINT ENERGY!This randomized fluctuation is an ideal projective medium, a cosmic Random Signal Generator. Quantum physics predicts the existence of an underlying sea of zero-point energy (ZPE) at every point in the universe. This is different from the cosmic microwave background and is also referred to as the electromagnetic quantum vacuum since it is the lowest state of otherwise empty space. Small fluctuations in this etheric SCALAR FIELD can create real time events, most often for nanaseconds, but occasionally longer effects. This real energy cannot be directly sensed since it is the same everywhere, even inside our bodies and measuring devices. From this perspective, the ordinary world of matter and energy is like a foam atop the quantum vacuum sea. All energy in the physical or hyperspace exists as ZPE. Other forms of energy are literally illusions in the physical universe. Everything is the pumped up manifestation of ZPE. Meaningful signals, larger oscillations, from the vacuum ether can arise from random white noise. But as in the case of the SETI search for extraterrestrial messages from space, we have to be dedicated to capturing those signals. The physical universe as we know it is a temporary illusion. It is a function of time dimension, which makes it, seem real, but it is actually virtual or unreal: all form is Void; all Void is form. What is real behind all this is the essence of indestructible creation and life as a part of integrated consciousness. 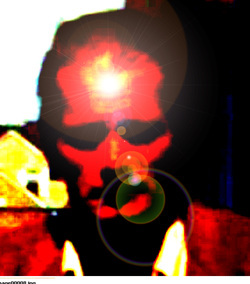 Quantum Mechanics has raised the possibility that the root of being is primordial consciousness, equivalent to or embedded in spacetime.Like energy, it cannot be created or destroyed.Humans have always had a strong intuition or wish that our personalities persist somehow beyond our merely physical vehicles.Some believe we will be reconstituted at a theoretical Omega Point. Physicist Frank J. Tipler modeled a Physics of Immortality and eternal life. Others suggest an afterlife where every human being who ever lived persists as a holographic blueprint of information in the ether of subspace. Consciousness studies supports a view where nonlocality and intentionality transcend the bounds of normal space and time.In other words, space and time are no impediment to instantaneous communication at the most fundamental levels. BUT WE HAVE TO BE RECEPTIVELY TUNED TO THE RIGHT FREQUENCIES. We can direct our intentionality toward opening channels of communication with the future, and future generations. SPIRITCOMM experiments are a logical extension of current scientific knowledge.More systematic trials at this type of signal transfer through randomness might reveal an unexpected glimpse of the near and far future, and what it wants and expects of us. Time has got nothing to do with it. Neither does spatial displacement, as the Earth is always hurtling through a different spacetime coordinate in every moment of existence. Among the EVP-ITC aficionados, Frank Sumption’s “Ghostbox” has really captured the public’s attention. “The circuit consists of a random voltage generator, which is used to tune an AM receiver module rapidly. The audio from the tuner (raw audio) is amplified and fed to an echo chamber, where the spirits manipulate it to form their voices. The audio from the chamber is picked up via microphone, and fed to an output jack where a recorder is connected. Often there is a problem with the voices being somewhat distorted, and there is a lot of back round noise.This is NOT EVP, those little, weak, whispery voices that are almost impossible to understand, although some can be quite strong. This is a method for enhanced communication with spirit, and other entities. Spirits or entities that communicate want the echo box about 600 cubic inches, which works best for them. Other sizes of the box will work, and even no box will work, using the room as a chamber. Sumption finds that the larger the space, the lower the communicating entities seem to be. By adjusting the echo box size you can "hit" the level that matches your own vibrations.GhostronicsThe latest echo box was made out of 3/4 inch plywood 42 inches long, and about 8 inches square, lined with aluminum foil. The aluminum foil seems to really help, although I can't really explain why, could be some "scalar" wave stuff going on, or magnetic fields, I don't know.No, I can't explain how all this works, some, or all of it is in the hands of people beyond our dimension. Some of these experts out there act like we are at the top; the spirits have to somehow intrude in this dimension. I think it's just the opposite, we have no understanding, nor awareness of what is already all around us. There is no veil to cross.Once I accidently left my FM stereo on, while doing a ghost recording. The result was some real very low frequency, low volume voices speaking in the background of the recording. Some of it was indeed just from the radio station, while some of it was messages to me. We naturally seek meaning as the Holy Grail of a purposeful life. Meaning is not content. Meaning is dynamic relationship, which is a result of interaction of the user and the used. First you have an experience, and then later you have the understanding.Even random stimuli perceived as significant can reveal our mental states or change lives. We are hard-wired to seek order in chaos. We can have experiences but miss the subtle meaning.Approaching the meaning restores the experience by amplifying its real value in a different form beyond simple happiness. Meaning is embodied in the expression of a pattern of activation. Past experience is revived in meaning. Meaningfulness is related more to vision, intuition and belief rather than truth or accuracy. There is actual and potential meaning. Yet, meaning drives us as well as nurturing us.It matters to the point of changing our physical chemistry, choices and behaviors. Meaning is both what we do every moment and the ultimate goal of our lives. A sense of significance helps us apply philosophy to life, to challenge and inspire in a certain context. The sharing of meaning is the concrete basis of society. Meaning is not an attribute of information but a crucial aspect of human experience. If we have shared values and meaning we have common purpose. Culture is the shared meaning. All deaths that are close to anyone are laden with messages, messages that change us. Death seems to be a doorway rather than a finality. We attached deep meaning to post-death experiences before the dawn of history. We have a gnosis about death and the beyond. It is the interplay of concepts, symbols and the real world. It may or may not yield clarity but is likely to arouse Mystery. The most meaningful experiences and communications encode not only the experience of one life, but of many generations.It means NOT FORGETTING.That, in itself, is quite ineffable. The backward look gives us the assurance of history, like looking backward over our shoulder while moving forward to escape primal terror.Likewise, courageously and purposefully approaching the future extends our sense of self and community.